EmPeaceLABS 2013 - Ronald L. Mann, Ph.D. EmPeaceLABS 2013 - Ronald L. Mann, Ph.D. 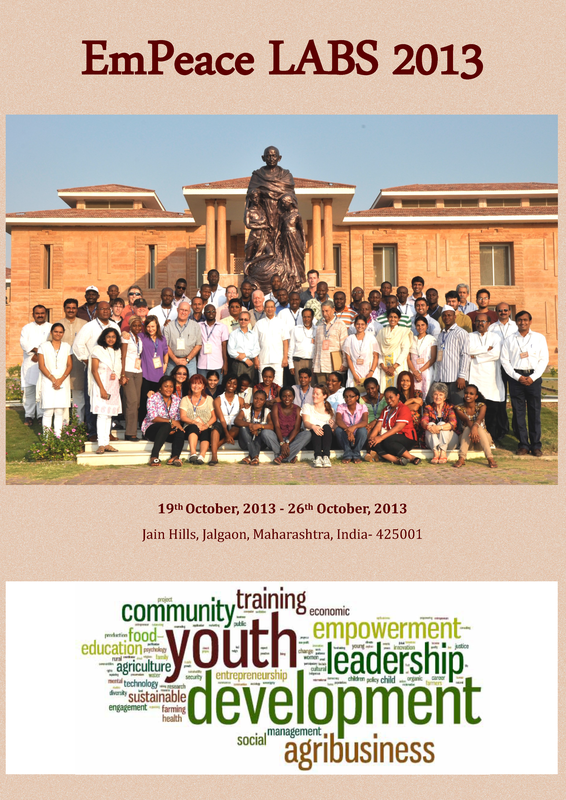 The EMPeaceLABS 2013 Conference in Jalgaon, India is about to occur. The Mann Consulting Group continues to support this 5-year program. The full details are provided in the attached PDF brochure. We have been very active in designing the Leadership Development aspects of this program along with the Leadership Academy for selected previous participants. The Leadership Academy is a special mentoring program for individuals who have participated in previous EmPeaceLABS and have demonstrated individual initiative in creating local projects for community development and leadership development with regards to agribusiness and sustainability. 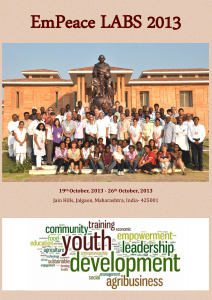 The Leadership Academy was designed as a way to further the leadership skills of these individuals through continued participation in the EmPeaceLABS 2013. They will receive more direct coaching and training, become a part of our leadership team and play a significant role in facilitating team discussions during the EmPeace LABS workshops. Here is one of the six training videos.